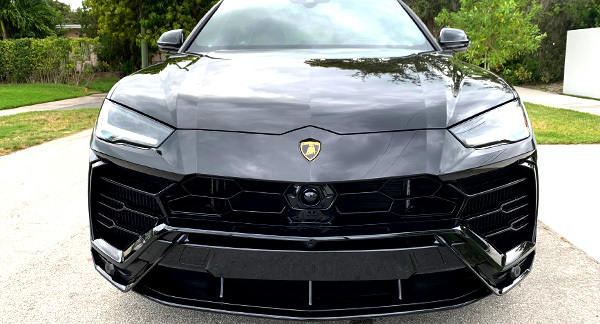 Lamborghini can always be counted on for a perfect luxury car rental New York experience, and the Lamborghini Urus rental NY is a prime example! This luxury rental car is in its very own class. The Lamborghini Urus rental New York is available from Imagine Lifestyles Luxury Rentals in South Florida, New York, & Philadelphia. This luxury SUV rental NY comfortably accommodates four, and looks exquisite in the process. This is the rental SUV for your next trip, or a simple way to turn heads at a business event. The elegant lines and contours of the Urus Lamborghini rental New York make an impression. Specifications include a 4-liter V8 engine producing 650 horsepower, providing reduced fuel consumption. Standard safety and driving features on the Lamborghini Urus rental include 4-wheel antilock disc brakes, an antiskid system, curtain side airbags, front and rear side airbags, daytime running lights, hill descent control, and brake assist. Those who need optimum space for family and luggage will find it in the sophisticated Urus rental NY. Take advantage of a Lamborghini Urus luxury SUV rental next time you are in New York. Do not forget that we have luxury SUV rentals available in Miami, FL or Philadelphia with a free quote!